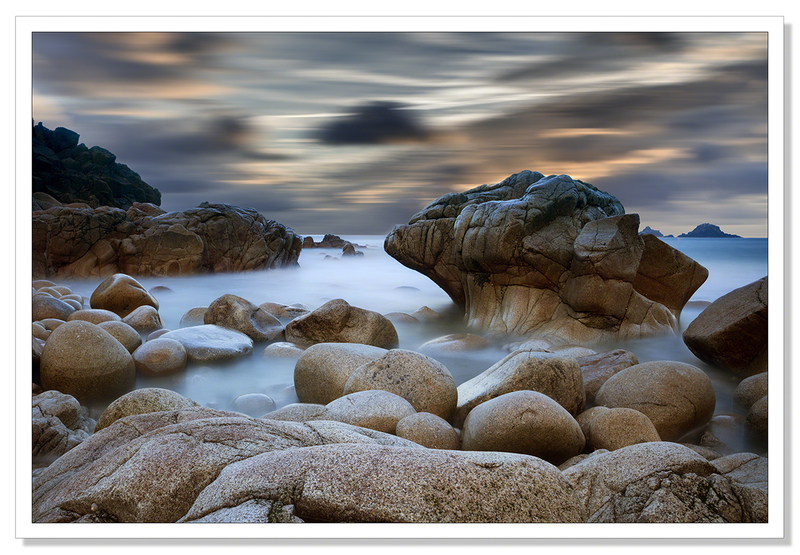 This is a photograph I took at Porthnanven (Dinosaur Egg) Beach in the Cot Valley.. This entry was posted on February 28, 2014 by Chillbrook. It was filed under Photography and was tagged with Adrian Theze, Cornwall, Cornwall Photographic, Cot Valley, England, English Countryside, Landscape, Landscape Photography, Nikkor 24-70mm f2.8G ED, Nikon D800, photographs of Cornwall, Porthnanven, Seascape. I love it. I really like the clarity of the rocks against the blurred movement of the clouds. I really must try some more long exposures. Thank you Dave. Long exposures can be very rewarding that’s for sure! Very nice effect with that moving sky. Nice shot! surreal and smashing.. nice one Adrian. Thank you John. The Cot Valley is one of those places I like to return to! This is a great shot Chillbrook, I want to go to the beach or coast and get some like this. Thank you Leanne. Much appreciated. I think you would enjoy Cornwall. Wow! That is amazing! Super image Adrian! Great soft tones and sky! Greetings, Ron. Hi Ron, Thank you! Appreciate it. Thank you Lee! The rocks and pebbles on this particular beach really are amazing! Thank you very Mark. It is a great location. Very popular with photographers as you can imagine. Stunning composition Adrian. Love the foreground detail. Your work is fascinating. Perfect! Wonderful picture. This I must try…if only I had a coast nearby. You have me inspired all over again. Thank you Tim! That is good to hear! Out of this world shot, Adrian! I love it. The landscape in this photo looks surreal. Photographic art! Nice! This has to be one of my all time favorite post of yours. I love getting lost in the surrealism of this view. Thank you so much PC. Very much appreciate you visit and comment! awesome…the smooth stones (Dinosaur Eggs) contrast well with the rugged look of the rock formation in back! Appreciate your visit Sreejith! Thank you! Lovely! The colours work really well together and the shapes, along with that sky, makes the whole thing look like the land that time forgot. Stunning image – well done! Thank you Ben. Much appreciated! Super duper images. Your technique and composition rock!! Wuauuuuu… Cuanto Más La Miro Más Me Gusta, Una Gran Fotografía. Un Saludo. This is one of my favorites, Adrian. Breathtaking. Really amazing shot. I got the 24 70 f2,8 today. Cant wait to go out and check it out. Can I ask what filter you have used on this shot? Really one of the finest seascapes photos I have seen. Greetings from Åsmund, Norway. Hello. :-) Thank you for the compliment. The 24-70 really is a wonderful lens and so very versatile. I think you will enjoy it very much. For this shot I used a .9 Lee ND Filter.